As the area is very rich collection save the past history, Palembang also has many art and dance fad. Of imagination and illusion of the era palace in the Kingdom of Sriwijaya VI century BC, which is very famous with the expansion of Religion and Buddhist center until golden era Sultanate of Palembang Darussalam. stages of the past history up to now to provide inspiration for many people. One of the dances. Palembang is gending Sriwijaya dance. Dancing is described jollification girls Palembang time guests receive a diagungkan. That it contains camphor, betel, areca nut, and other ingredients is presented as the expression of feeling happy. "There is a, dance gending Sriwijaya also accompanied the gamelan and the title track is a similar expression to the life of the beautiful palace," he said. Elly added, the creation of dance gending Sriwijaya made life far after the Sriwijaya Kingdom. 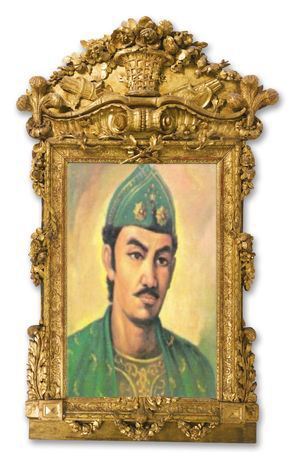 Syairnya created by Nungtjik AR, creator of the song Mahiba by Dahlan, and penarinya is Sukainah Rozak. As an illustration, can be also referred to as the imagination of the author. it is indeed describe the life of that time, "he said. So many people and then the dance is. In fact, when his tradition Palembang, people will surely mention gending Sriwijaya dance, complete with lyric and rhythm bands. he also said the time line, dance tradition is the shift in Palembang. Not change the dance fundamentals, but the brave and the artists can create. One of them is a dance fan. Dancing with a basic movement and dance Batanghari grip of the nine, has its own uniqueness. "The creation, but not separated from the movement Sumsel traditional dance," he said. Still according to Elly, dance fan who is also called the Musi swing dance, created in response to the conditions kekinian, for example, political and economic problems that are not stabilized. "People now like to compete and tearing emotions," he said. Fan, then became the symbol of King, so that when watching it, the heart of each person will be dissolved and able to give an impression, and intent to change ourselves. In addition, the swing Musi River into the beautiful omen Musi.Warna tradition characteristic of Palembang not be separated. Music used is very specific, namely akordion, gamelan, wither drum, gong, and a single guitar. 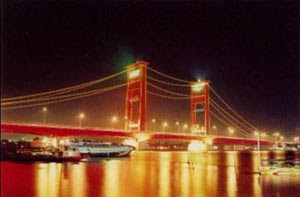 When viewed from the point of that, who says dance tradition Palembang not moving dynamic. Dancing gending Sriwijaya dance is welcome from the city of Palembang. Excitement characterize this dance girls Palembang when the guests visit the diagungkan. "Tepak" which includes, lime, betel, areca nut, and other ingredients is presented as the expression of feeling happy.